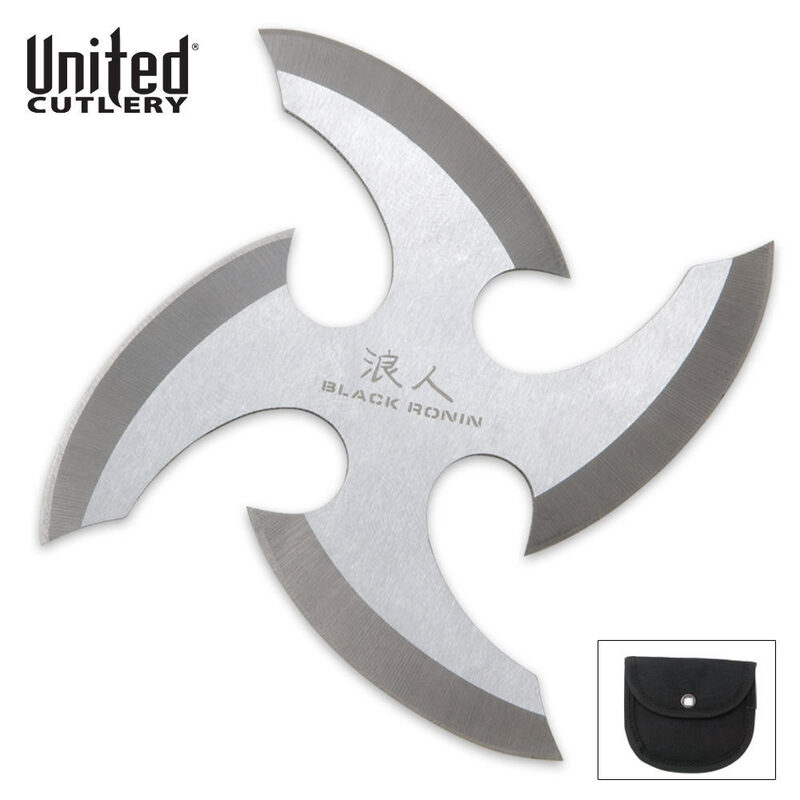 United Cutlery Black Ronin Silver Throwing Star | BUDK.com - Knives & Swords At The Lowest Prices! This Black Ronin silver throwing star is one thick, mean piece of steel. Its 3 1/2" body sails through the air like a missile on course, and it&apos;s four razor-edged blades will pierce through anything. Includes a high-quality nylon belt sheath for a concealed and convenient carry. I purchased the Black Dragon Twister. While the concept is admirable and the physical construction sturdy, its operational status is absolutely no good. Some of the blades are mis-aligned and will not stick open for throwing w/o great effort (as in use a screw driver). Other blades, once opened, are mis-aligned and will not close without great difficulty (as in use a screw driver). Considering the sharpness of the blades, this is dangerous to the user, and as a throwing star, ineffective. I bought two of these, a black and a silver star. Shortly after receiving it I tested them on a target stump I set up in my backyard and was very pleased with the accuracy and durability. I was a little disappointed about the size when I got it because I hoped they were going to be much bigger but after throwing them I forgot about the size and just accepted the fact that they are small but extremely fun! I love these little Bad**s Ronin star throwers and definitely think it's a must have to any weapons collector or enthusiast!